Improvement happens every day, in every organization — even the poorly performing ones. Improvement is the only way a business survives. It is a continuous activity that is incrementally chipped-away at, day after day. It is different than breakthrough improvement, however. Achieving breakthrough improvement requires taking a step back and analyzing your situation a little closer. Breakthrough means the organized creation of beneficial change and the attainment of unprecedented levels of performance. 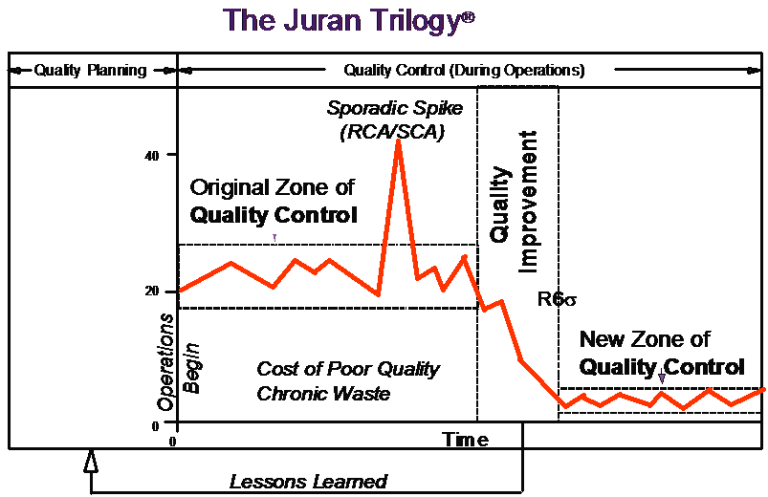 To learn more about the Juran Trilogy and Dr. Juran’s legacy, click here. Unprecedented levels of change may require attaining a Six Sigma (3.4 ppm) level of improvement over current levels of process performance. The concept of a universal sequence evolved from Dr. Juran’s early experience at Western Electric Organization (1924–1941) and later during his years as an independent consultant starting in 1945. Following a few preliminary published papers, a universal sequence was published in book form (Juran, 1964). This sequence, as shown above, is applicable to any industry, problem, or process. 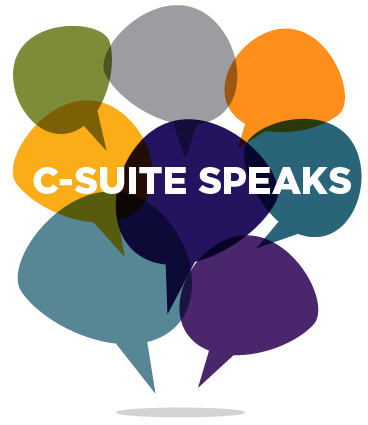 Join us in our next complimentary C-Suite Speaks webinar where Dr. DeFeo teams up with the President of Springfield Spring, a manufacturing company, to discuss quality systems and the importance of having a system in place. They will also talk about the struggles a president and taskmaster faces in the day-to-day management of a precision custom manufacturing operation, and the topic of open book management. Reserve your spot today. Breakthrough results in significant cost reduction, customer satisfaction enhancement, and superior results that will exceed customers’ expectations. To learn more about breakthrough improvement and get your company on the road to exponential success, connect with one of our experts. We’re here to help you succeed.